Title: OCCUPIED IRAQ HAS BECOME A "SATURATION ENVIRONMENT" OF ELECTROMAGNETIC RADIATION -- CIVILIANS AND US SOLDIERS GOING CRAZY! Subtitle: In addition to spreading misery and death amongst both Iraqi civilians and American troops with Depleted Uranium, now we learn that our soldiers are also dying and being driven crazy through our own E.L.M. rays! Is this the reason 25,000 US troops were just secretly evacuated from Iraq? Almost two years ago, Cutting Edge posted articles which told a story almost beyond belief. We reported that American and British forces were using Depleted Uranium weaponry that not only killed enemy soldiers, but killed our own troops. 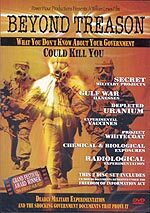 In fact, we kept on reporting this terrible story from so many angles that we created a section in which all our articles on the subject could be accessed, plus other resources such as our DVD on Depleted Uranium and testimonies from other experts, including Congressman Dennis Kucinich. If you have not thoroughly studied this terrible nuclear radiation disaster befalling the Iraqi people and our own troops, please take a moment to go to our Depleted Uranium section and study carefully. At the time, we asked the logical question: what kind of leadership would deliberately condemn an entire country of 25 million people and 80% our own soldiers to eventual radiation death? 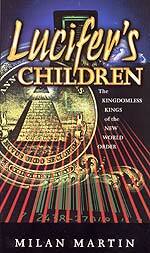 The answer is not hard to understand when you realize that our leadership is Illuminati through and through, all of them "Lucifer's Children". 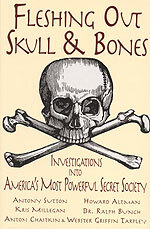 When our own President is an unrepentant Black Magick Skull & Bones adept, you can understand how he and officials of his administration could knowingly commit 260,000 soldiers to a battlefield in an occupied country which they know will be fatally poisoned with Depleted Uranium contamination. Now, we report that another debilitating -- and even fatal -- weaponry is being unleashed upon the Iraqi people, a weapon which hurts the soldiers employing the weapon, much like Depleted Uranium kills the soldiers wielding those munitions. Let us review the news story. Once again, we are facing the reality of having to look through a maze of official public propaganda in order to comprehend a much different real world. Time and time again, the discerning citizen must realize that the truth most often lies completely in the opposite direction of the public rhetoric. Even as President Bush is touting his "liberation" of the Iraqi people, his army is continuing to unlease fatal doses of both Depleted Uranium munitions and concentrated Electromagnetic Radiation weapons. Thus, we are directly targeting Iraqi civilians with this EM weaponry, and indirectly affecting our own troops. Our continued killing and damaging of Iraqi citizens is undoubtedly a transgression of international law, but since President Bush is simply carrying out the longer term Illuminati plan of "increasing the death rate" (Bill Cooper, Behold A Pale Horse), I am sure no accounting will be forthcoming in this life. However, Americans are going to have a lot more trouble understanding why our own political and military leadership is knowingly damaging and killing our own soldiers. We have the answer for you, from the global plan, but first, let us continue this exceedingly long article, dealing only with the most pertinent points. Did you catch the pertinent phrase? "They are saturating the area with ULF, VLF and UHF freqs"
* The number of children killed are overwhelmingly huge -- "Hank blames those at the top for hospital counts of upwards of 65,000 children killed since the 2003 invasion." Many people found it too horrifying to believe the report from a British think tank when it published a report stating that over 100,000 Iraqi civilians had died since the March 20, 2003, invasion. [Newsletter October 30, 2004, Paragraph VII] Yet, here we have learned that, of this huge death toll, 65,000 were children! * Are Iraqi civilians being used as guinea pigs for experimentation of new weaponry? "... innocent Iraqi families and unsuspecting GIs alike are being used as test subjects for a new generation of 'psychotronic' weapons using invisible beams across the entire electromagnetic spectrum to selectively alter moods, behavior and bodily processes." We should be concerned, for if these weapons are perfected in Iraq, we shall likely see them used against us at the right moment in world history. Perhaps one of the reasons many of the citizens of Fallujah did not come back to their shattered homes was because the city was being continuously bombarded with these combinations of wavelengths. Better to move to an area not being bombarded than to return to a shattered home being continuously swept by these mind altering, mind control waves. * The Iraqi population being "saturated" with these new weapons. 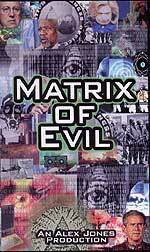 "The Gulf War veteran observes that occupied Iraq has become a 'saturation environment' of electromagnetic radiation. Potentially lethal electromagnetic smog from high-power US military electronics and experimental beam weapons is placing already hard-hit local populations–-particularly children—at even higher risk of experiencing serious illness, suicidal depression, impaired cognitive ability, even death." The poor Iraqi citizen is being subjected to a terrible array of high technology weaponry: Depleted Uranium munitions, helicopter gunships and C-130 aircraft firing D.U. weaponry into crowded urban areas, tanks and other heavy equipment being used to raze entire towns, and now EM waves. How do you think the poor Iraqi feels now about being "liberated" from old Saddam? * How heavy is this "saturation" of EM wave weapons against the Iraqi citizens? "Constant microwave emissions from ground-sweeping RATT rigs and SINGARS mobile microwave networks are much more powerful than civilian microwave cell phone nets ... Even more powerful US military radars, radios and “jammers” blasting from ground bases and overflying aircraft add to this electromagnetic din ... ever-present sand acts as miniature quartz reflectors, unpredictably amplifying the ricocheting electronic smog so thick that if it were visible, every vehicle in Baghdad and the surrounding Sunni Triangle would be driving blind with their headlights on." Please take a moment to fully comprehend the immensity of the information provided in this paragraph! If the EM waves could be seen, they would produce a smog so thick that every vehicle in central-northern Iraq would be so covered their drivers could not see to safely operate their vehicles. This means that the brain and body of every Iraqi citizen is being constantly bombarded with waves which, though they are invisible, are wreaking terrible physical and mental disaster upon an unsuspecting population! * American troops have no idea their health is being damaged by these EM weapons - they are ignorant of the risks! "American troops constantly exposed 'up close' to their own microwave transmitters, battlefield radars and RF weapons are also seeing their health eroded by electromagnetic sickness. It’s common, Hank recalls, for GIs to warm themselves on cold desert nights by basking in the microwaves radiating from their QUEEMS communications and RATT radar rigs." Can you imagine this irresponsibility? It was bad enough that soldiers were not trained in the hazards of depleted uranium weapons, but now we see that they are not told of the terrible health risks associated with these EM weapons. Can you imagine the folly of our leadership when they will actually allow our soldiers to "warm themselves on cold desert nights" by standing in front of the microwaves of their own rigs? This nonsense is just asking for American soldiers to become afflicted with "serious illness, suicidal depression, impaired cognitive ability, even death." We have posted many reports that American soldiers are suffering mentally and emotionally in this war more than in any other war. But, these articles keep referring to very low numbers of actual soldiers being so afflicted. This article actually states that 15% of American soldiers are AWOL at any single time; since our nation has 130,000 soldiers in Iraq, a 15% figure would equal 19,500 men. Keep this figure in mind as we review our next article. "In an abrupt move, American occupation forces withdrew 25,000 troops from Iraq over the weekend ... Citing reports from their correspondent in Basra and other eye witnesses, more than 65 military jets left Basra airbase and 40 American ships left the port of Basra, all carrying the troops to Kuwait. The sudden departure was also confirmed by Mr. Kamal Albasry, an administrator in charge of Um Al-Qasr port." This is quite a report! One might be forgiven to think this just might be Arab propaganda, but since 9/11, our government has been caught in so many lies that we distrust anything our leaders now say. During the actual 2 1/2 weeks of fighting, we discovered that Russian and Arab sources were providing much more reliable information than American news outlets, who were relying upon American leaders for their sources. Why were these men so suddenly removed to Kuwait? "Many of the extracted troops were said to be mentally and physically impaired, unable to continue their military duties, and had therefore been deemed inactive. US military officials had previously announced that some troops would be withdrawn under the guise of handing more responsibility to the newly formed Allawi 'National Guard' however it was indicated that these would be small numbers over time, not the significant evacuation that occurred over the weekend. There were no official US military statement on the departure." This article continued, saying that British authorities had effectively sealed off the entire city during this evacuation, to keep all news of it from reaching regular news outlets. Now, let us return back to our Will Thomas article, to see that this figure of 25,000 soldiers is probably the result of the many maladies continually facing our troops. A lot of them could be suffering from a variety of ailments, not just from EM wave transmitters. "This is grim news to friend and foe alike—already overloaded by constant adrenal stress, waterborne pollutants, infectious sand fleas, dehydration, pharmaceutical drugs and exposure to radioactive Uranium-238 fired in 'hose ‘em down' exuberance by US ground and air cannons and cruise missiles. As Hank puts it, DU is 'the gift that keeps on giving'. For the next four billion years, medical investigators say, large populated expanses of Kosovo, Afghanistan, Puerto Rico and Iraq will remain lethally radioactive from Made In America depleted uranium dust." Therefore, our soldiers are continually being subjected to the most incredibly hostile environment any soldiers have ever faced; but, even more incredible, this hostile environment is being created by our own leadership, wielding our own weapons, not by any enemy action! As we stated in mid-2003, informed military medical opinion is that virtually all of our soldiers who have ever served in Iraq will come down with some form of cancer over the next 20 years. Furthermore, Iraq will become increasingly uninhabitable over the same 20-year period. This news is just about the most terrible one can possibly hear. On the one hand, our leadership is deliberately targeting Iraqi civilians for illness and death in contravention of so many American and international laws. On the other hand, our leadership is knowingly targeting our own precious soldiers for slow death and/or mental - emotional distress. Why would our leadership do these things? Please keep in mind the following truths. 1. 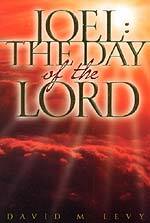 When God delivers a military judgment upon a nation, He does so by bringing in a nation whose army is simply too strong for the recipient of judgment to resist. Further, God causes the invading, occupying, destroying soldiers to be imbued with incredibly cruel hatred toward the people being judged. We saw this fact continuously in the Old Testament and in the final Roman hatred and cruelty against the Jew in both 70 A.D. and 135 A.D. If God is using the American-led army to inflict End of the Age judgment upon Iraq (Ancient Babylon), then perhaps the bulk of the American army and its leadership, has been imbued with this type of hatred and cruelty. We examined this possibility in NEWS1920, as our actions certainly seem to be fulfilling Isaiah 13 exactly. Read this article carefully, for the way God deals with the military power he has used against the object of His judgment is sobering for America's final state before God. 2. The time is quickly approaching for the United Nations to begin exercising global authority -- global governance. If former President Bill Clinton is elevated to the head of the U.N., you can be sure that the time when the United Nations begins acting like a global government is not too far away. Therefore, you must realize that the United Nations cannot function as long as America stays as powerful among her peers as King Kong is among monkeys. No King Kong will allow itself to be dictated to; no army of King Kong will submit to global leadership. What must occur? King Kong must be brought "down to size". Already, our preeminence in economic affairs is slipping away, as Eastern Europe begins to ascend and our economy begins to descend. If we lose our military in Iraq, because they have been made too ill by our D.U. and our EM weaponry, when the time comes to incorporate our armed forces into the United Nations, our weakness will facilitate our integration into that world body. Before this scenario plays out fully, the world probably has to pass through the World War III which will produce Antichrist. We may very well face a resurrection of the military draft. We may very well have to pass through the rough seas of terrorist strikes, more natural disasters, and more "Regime Changes" throughout the world. Truly, Jesus was correct when He prophesied that Antichrist would be "born" through the birth pangs, of "wars and rumors of wars, nation rising against nation, kingdom against kingdom, famine, disease and earthquakes in divers places". The End of the Age, with all its wars, disasters, diseases, and cruelties, is upon us.